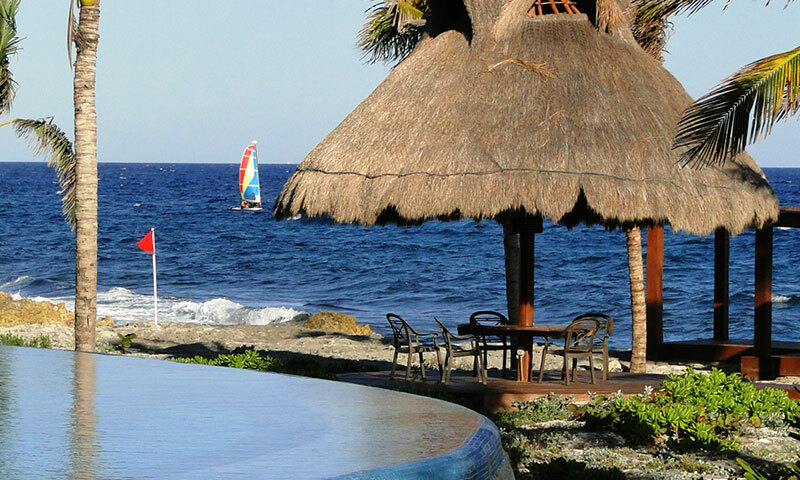 Luxurious ocean front condominiums in Puerto Aventuras at the exclusive Punta Roca. Be lolled to sleep listening to the gentle surf cascading over the shoreline and awaken to the sunrise shimmering on clear blue seas. 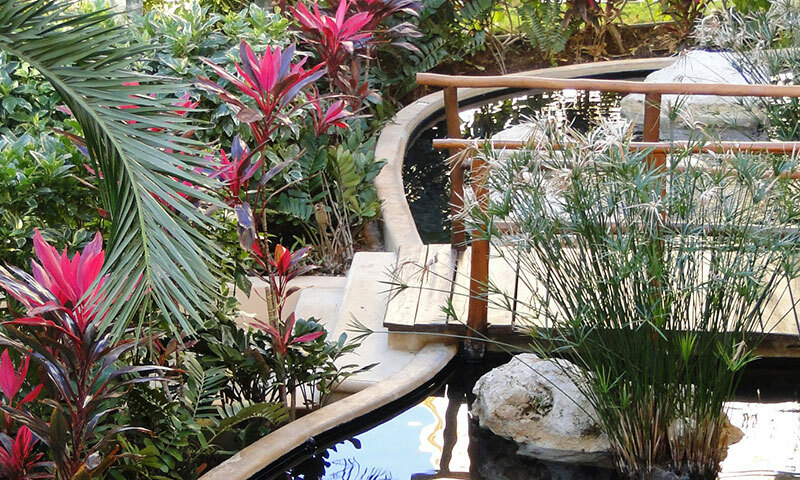 All grounds are private, with 24/7 security, and a huge infinity pool with walkways, outdoor palapas and natural salt water tide pools to create a wonderland of ocean front living. 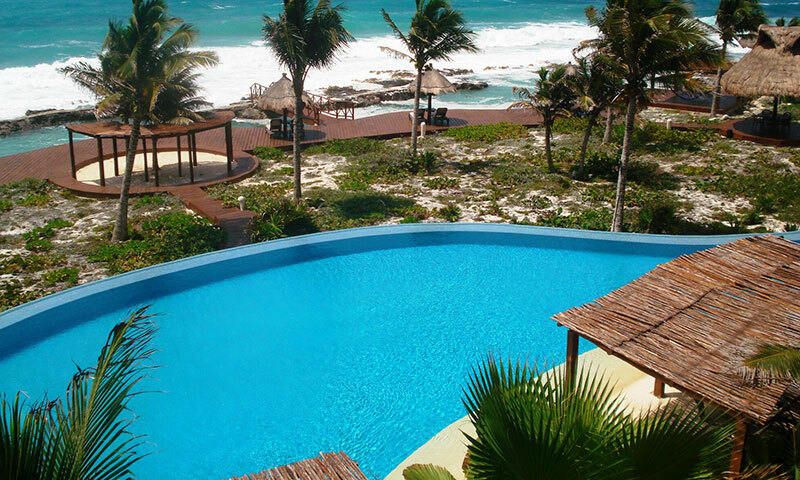 On the ocean front grounds are two pools. One is a freshwater infinity style; the other is a natural salt water style right next to the ocean. 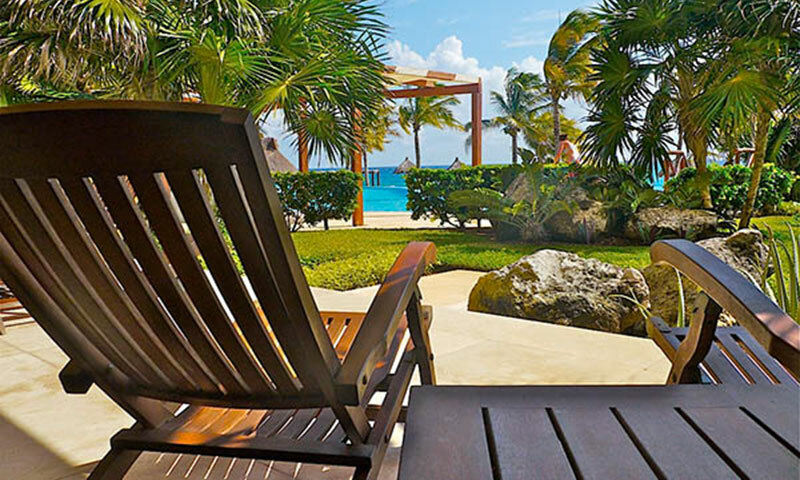 There are plenty of chaise loungers, shade palapas, palm trees and privacy areas. The town center, marina San Carlos is within walking distance. There are numerous shops, restaurants, dive outfits, Dolphin Discovery and Fatima Bay Beach. Golf and tennis are close by. There is no need for a rental car if you plan to remain in Puerto for your stay. For trips outside of the town, taxis are easily found near the Omni Hotel. There is a Chedraui grocery store 1KM up the highway from the entrance to Puerto Aventuras. The town of Puerto Aventuras is a gated community located just 15 minutes south of Playa del Carmen where you will find a lively nightlife, a wide selection of restaurants and larger stores such as WalMart, Sam's Club, Mega and Soriana, the newest grocery store. Also nearby are popular attractions such as the Mayan village at Coba, the ruins of Tulum, Xel Ha, Xcaret, Zipline tours, golf and ATV jungle tours, to name just a few. Contact us for reservations. 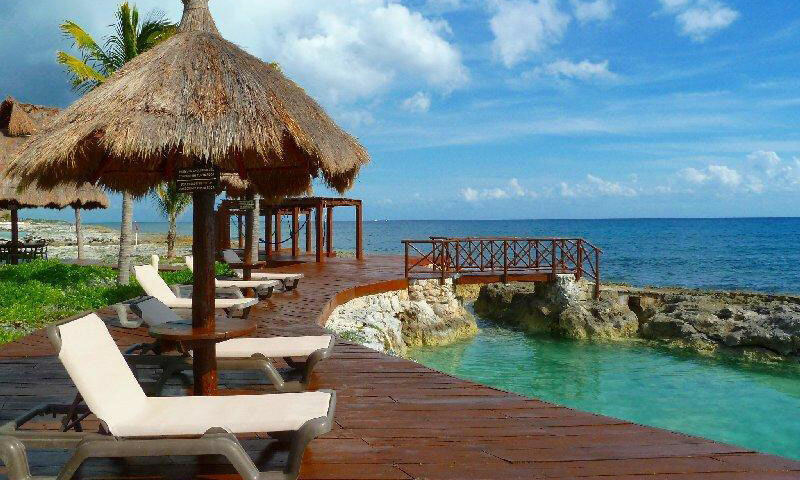 For sales information at Punta Roca, please contact Puerto Aventuras Investments. 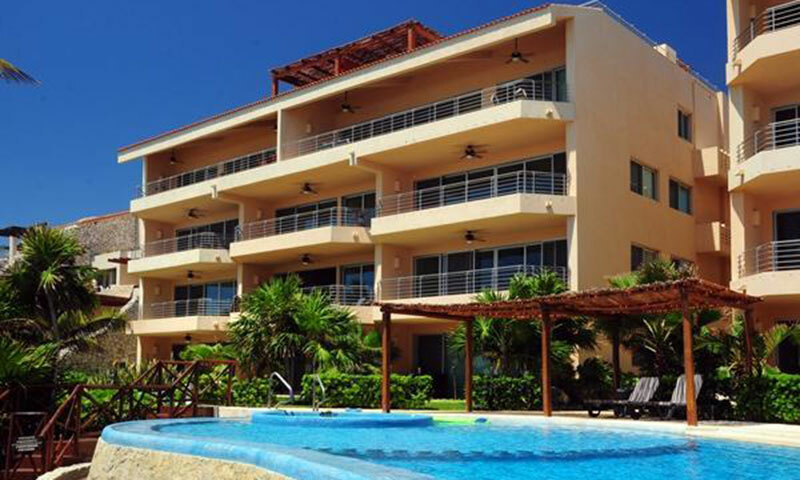 Condo 105 is located on the first floor of one of the prettiest and well designed buildings in Puerto Aventuras. 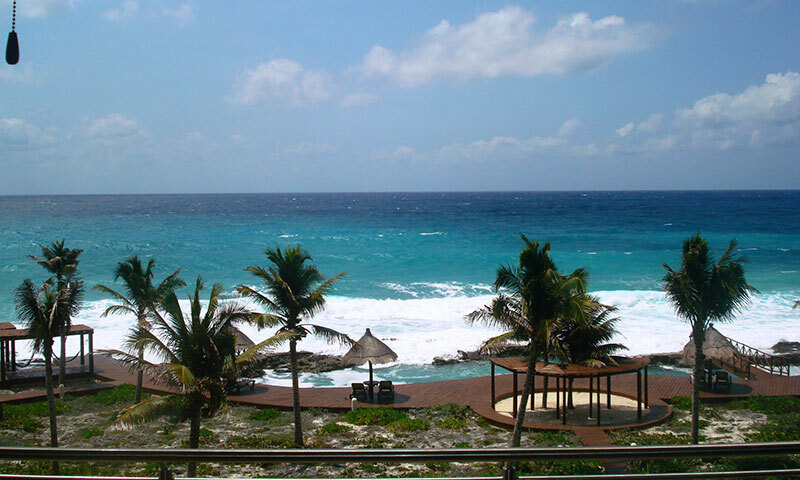 Punta Roca Condominiums, aptly named for its private location, is truly a wonderful vacation spot. 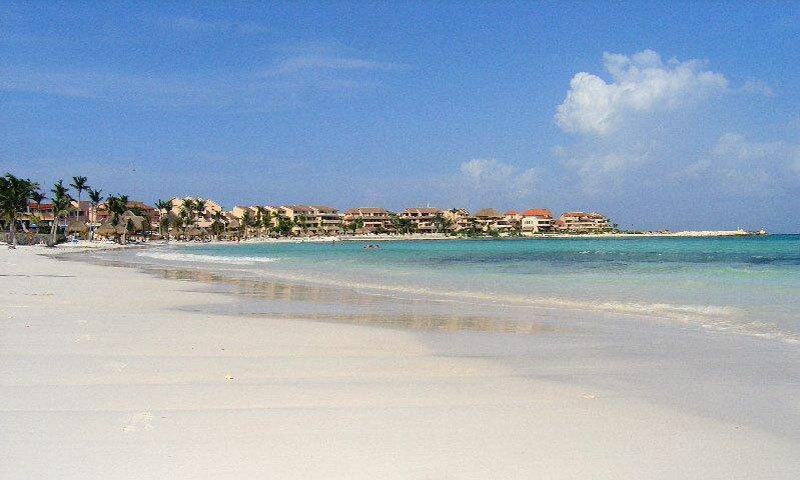 Condo 302, is located on the third floor of one of the prettiest and well designed buildings in Puerto Aventuras. 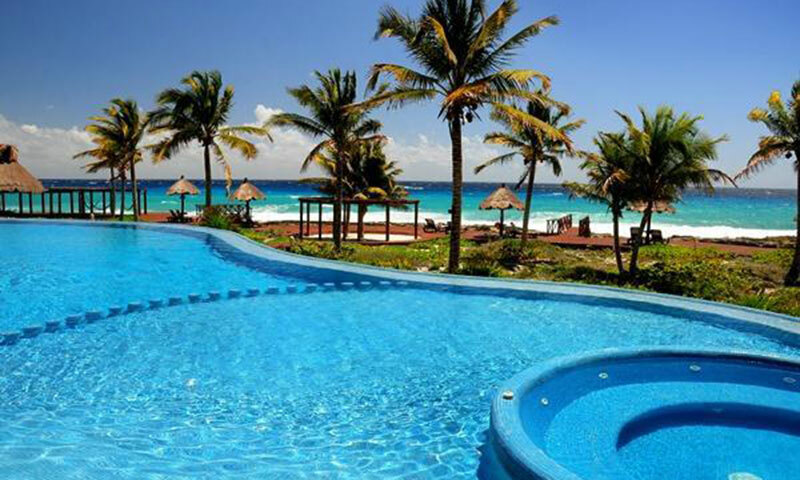 Punta Roca Condominiums, aptly named for its private location, is truly a wonderful vacation spot.